Garden edging is commonly used to frame flower or plant beds and separate them from the grass lawn. This is the primary use of garden bed edging. However, aside from its functional use, edging has also become a way to incorporate art in your garden. Generally, garden edgings are used to prevent lawn grass from crawling into your garden beds. Without the proper edging, your plant beds will be filled with weeds and grass and you may have to remove them consistently, which takes a lot of time and effort. Additionally, garden edging also contains mulch effectively, thus preventing it from spreading all over your grass lawn. Some homeowners’ association at exclusive villages even requires homeowners to have edgings for their lawns. Edging for gardens come in many types. 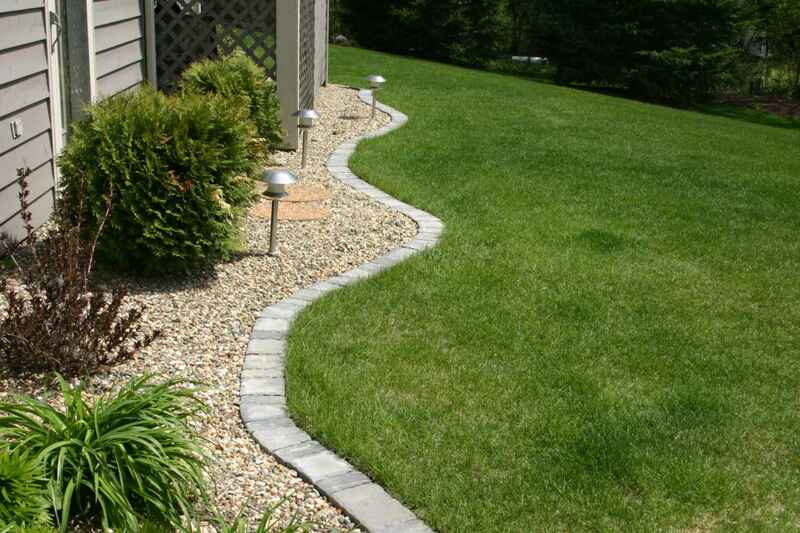 Two of the most commonly-used kinds of edging are decorative garden edging and concrete edging. The first one can be made with any material, as long as it effectively borders the plant beds and provides a good aesthetic look. The second one is of course, made with concrete. This is very popular because it is very sturdy and can endure extreme weather. It is crucial you pick what best suits you as this will play a big role in your overall garden decor. Apart from concrete, there are other materials that can be used as garden borders and edging, and these materials can be easily obtained from do it yourself stores and garden specialty shops. There are plastic, metal, trench and many more. On the other hand, there are materials that you can avail for free, such as wood, river rocks and stones. Even small plants can be used as edging for gardens. The use of garden edgings is important especially if your garden has variety of plants on it. It is not only for aesthetic purpose, but vital in keeping your plants healthy and well-kept as well. Aside from these, landscape garden edging als barrier that keeps disease-bearing weeds from infecting your plants. The best part is, edgings create tracks for mowers, therefore make mowing easier and much faster.